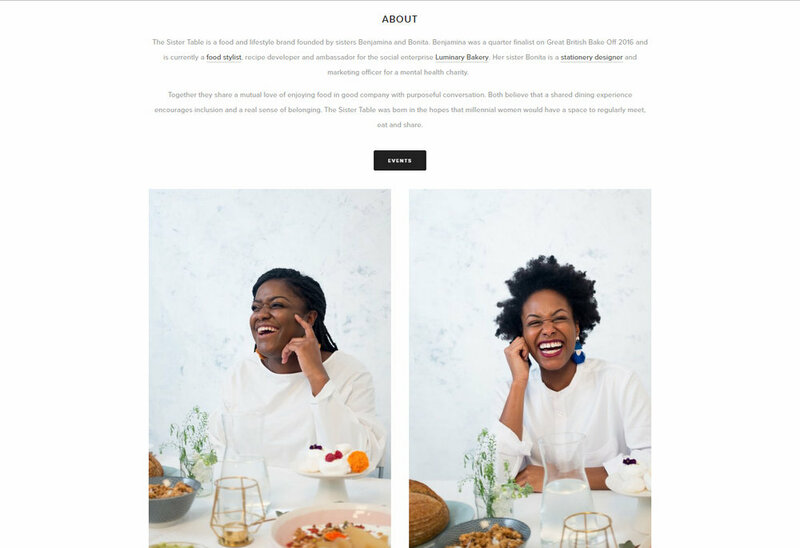 The Sister Table is a food and lifestyle brand that hosts monthly supper clubs. I was tasked with designing the brand style and website. I anticipated that the brand would cater to a much younger millennial audience and so decided to go for a simple and clean brand identity. Since the supper clubs wouldn’t be hosted in the space space each month and could possible take on varying visual identities, I felt a black and white logo would work best. I also design the collateral for events such as menus, table talks, signage and much more.